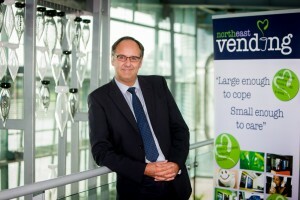 Welcome to North East Vending! 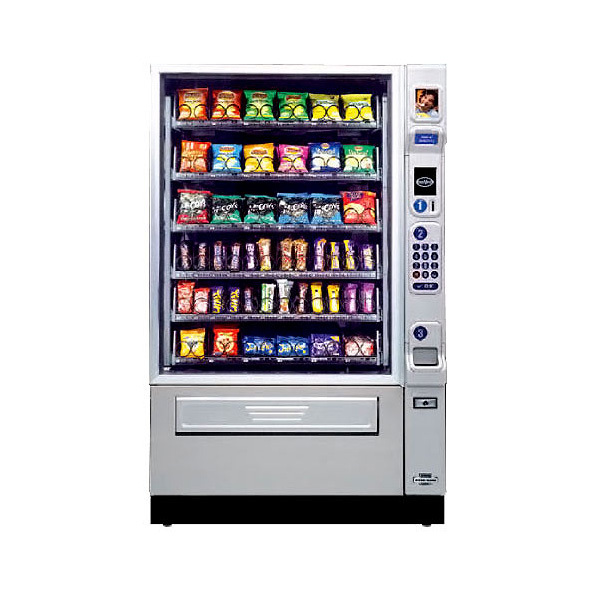 If you’re looking for a vending machine for your office, reception area, meeting room, university or hospital we have something for you. From table top coffee machines to the latest in ‘new concept’ vending technology all our machines are available for purchase, rent or on a fully serviced basis - you choose! We’re very proud to have been serving the North East region for over 40 years and pride ourselves on our excellent customer service and unrivalled passion about our business. We really do ‘vend over backwards’ to make sure that you and your customers are kept refreshed! 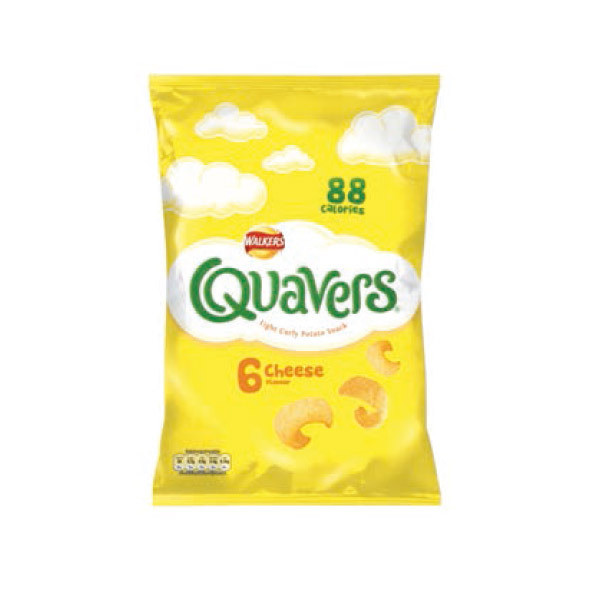 So much has changed within the vending sector in that time but we have kept true to our core values as a family run business, making sure we always supply the best quality products. 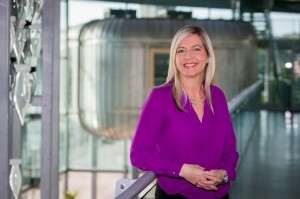 We've come such a long way since the days of tea trolleys being pushed around factories, to today where we have thousands of branded and interactive vending machines. Our success has been down to servicing the people who buy the products and we've always tried to keep our offer fresh and change with the times. 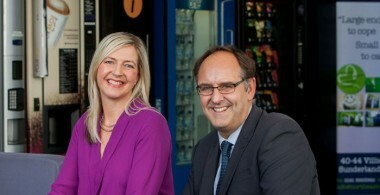 We're delighted to still be at the forefront of the vending industry and we look forward to what the next 40 years will offer! Up to 8 hot drinks options in a cash or coinless tabletop coffee machine. 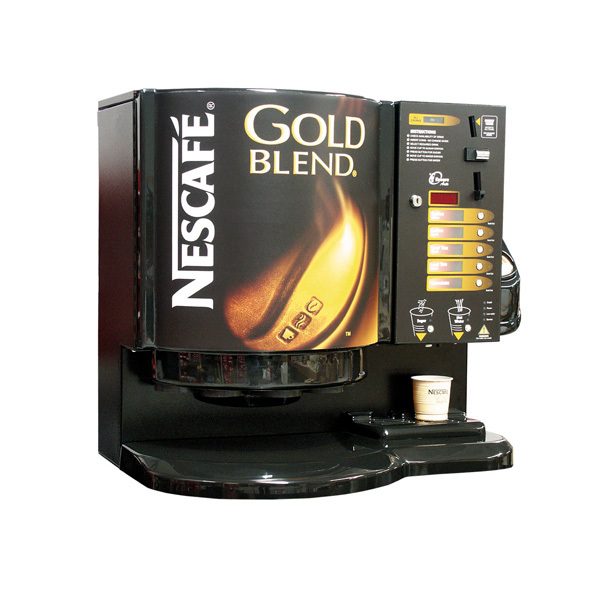 For instant coffee, tea and hot chocolate drinks.The ideal machine for high demand locations requiring a fast service of drinks. Highly reliable and a rapid recovery time between drink servings ensures fast service from the Vision 300. 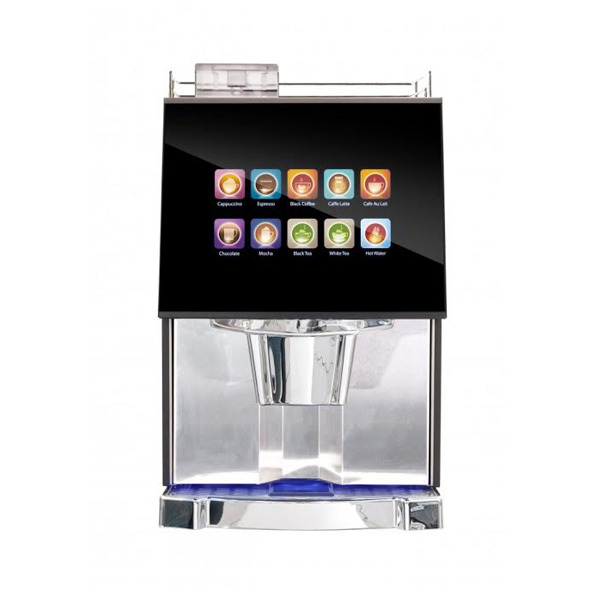 Our best selling coffee machine! 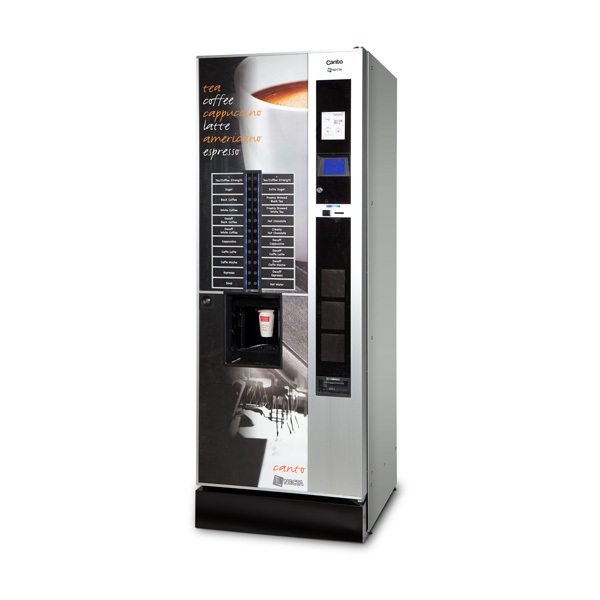 The Canto is a floor standing hot drinks vending solution available in Espresso plus Fresh Brew, Instant and Fresh Brew versions and features a range of quality drinks to suit your customers. The highly advanced user interface and light path of flashing LEDs guide the user though the purchasing process. Combining stunning design and proven, robust technology, the Vitro range is at the cutting edge of hot drink dispense systems. Finished in smoked glass, the angular design with chrome finish trim gives a contemporary feel. The In-Touch user interface is akin to many consumer electronic devices and the Vitro comes in 6 configurations, including bean to cup coffee and fresh leaf tea options. 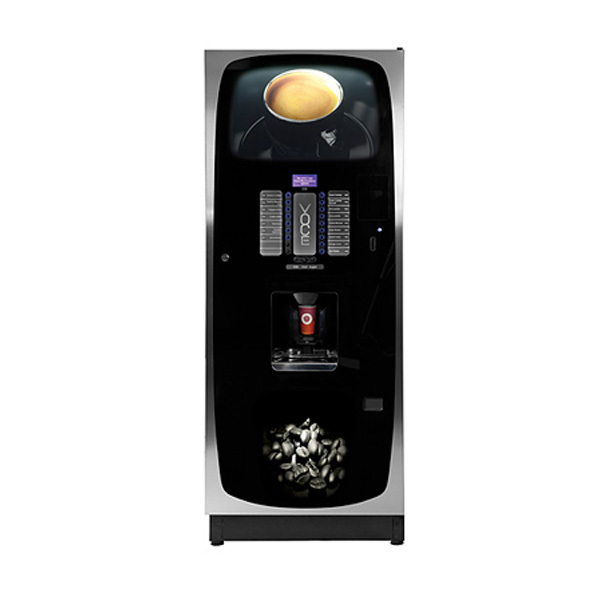 The Encore Auto is a fabulous hot drinks machine for the smaller company or location looking for an efficient and cost effective vending solution. Due to the compact design of the Encore Auto, it can be easily installed in most locations with the minimum of inconvenience. 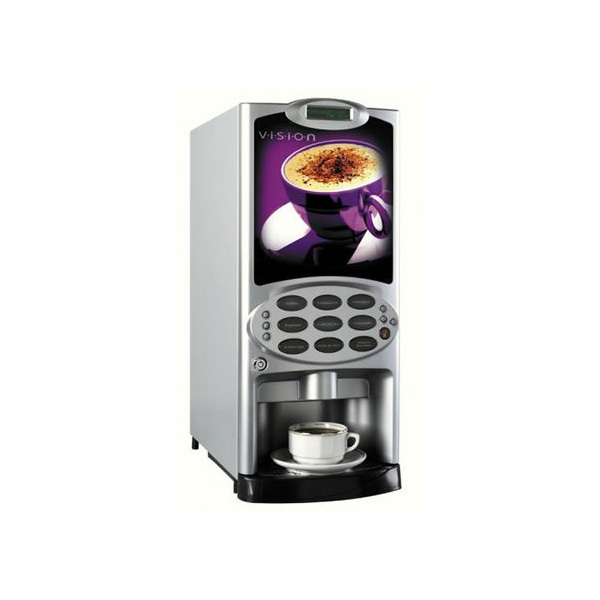 Although compact, the Encore has a cup capacity of 195 and is packed full of features including a user friendly push button system, a digital credit display and an internal sugar dispenser. Highly cost effective drinks solution! The Flavia Creation 400 Drinks Station uses ingenious ‘Brew-by-pack’ technology using foil sealed filter packs meaning that your customers get absolute freshness from each cup. 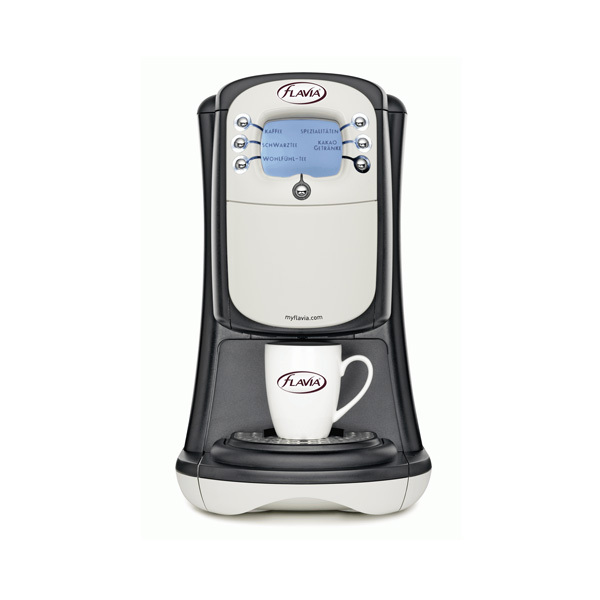 With the technology to brew over 30 drinks including freshly ground coffee, real leaf teas, a wellbeing range and even total indulgence – the Flavia Creation 400 can provide something for everyone! A wide range of hot drinks to suit everyone! The all new Kenco Singles Brewer brings unrivalled reliability and even greater benefits to your office, meeting and reception spaces. 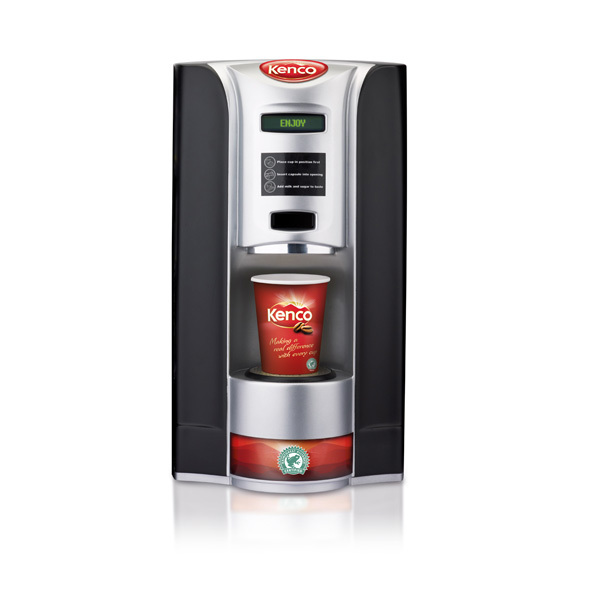 The space-saving Kenco Singles is the perfect way of bringing the perfect hot beverage to your customer; coffee, tea and hot chocolate! 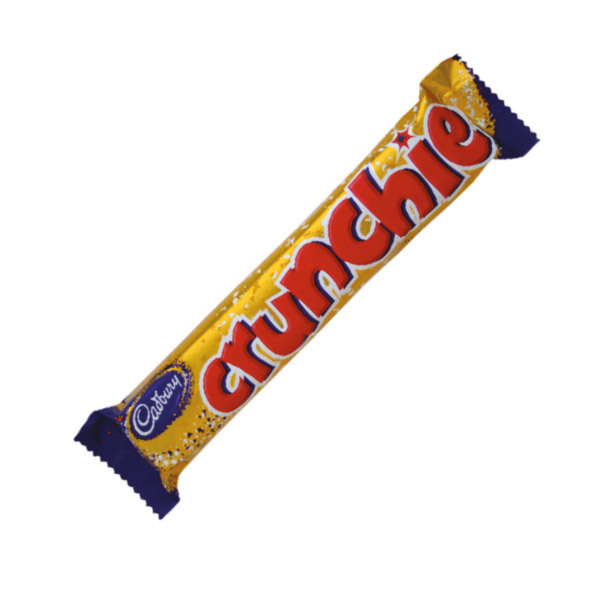 All are available using the brands that they know and love: Kenco, Carte Noire, Suchard, PG Tips, Twinings and Cadbury. Suitable for offices, reception areas and board rooms! Great choice of freshly brewed hot drinks – coffee, tea and hot chocolate! The floor standing machine from Pour Moi is ideal for large and busy locations such as hospitals, colleges and universities! 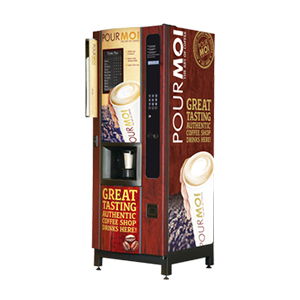 Pour Moi delivers the ultimate ethical coffee shop drinks such as cappuccinos, lattes, mochas and americanos through an efficient and cost effective vending and dispense system. Solista is the latest addition to the Necta table-top range of vending machines. With its sleek design, high capacity level and leading-edge technological performance, it is a machine for aficionados. Solista uses Z4000 technology, which delivers perfect freshly ground espresso coffee and espresso-based ‘speciality’ drinks in just a few seconds, all served at the ideal temperature. Great choice for smaller locations! The Voce is a truly versatile hot beverage solution for a wide range of locations from smaller offices to hospitals and universities. 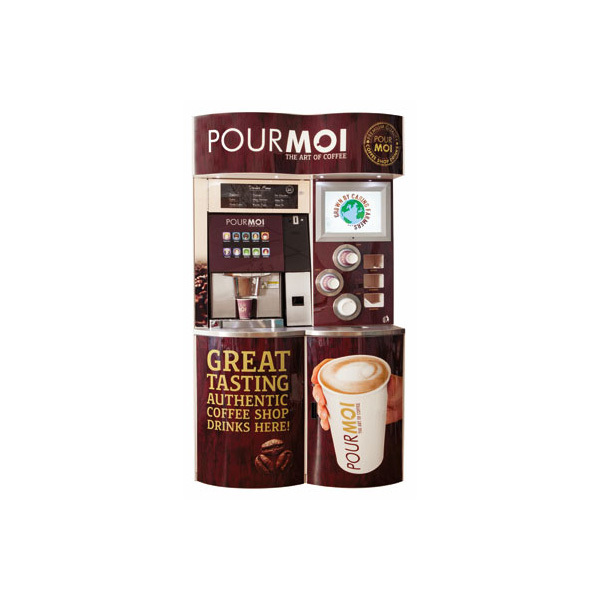 This floor standing hot drinks vending machine has a modern, sleek design featuring a flat glass door and illuminated graphic panels as well as a large menu area. There is even the option to include chilled still and sparkling drinks! 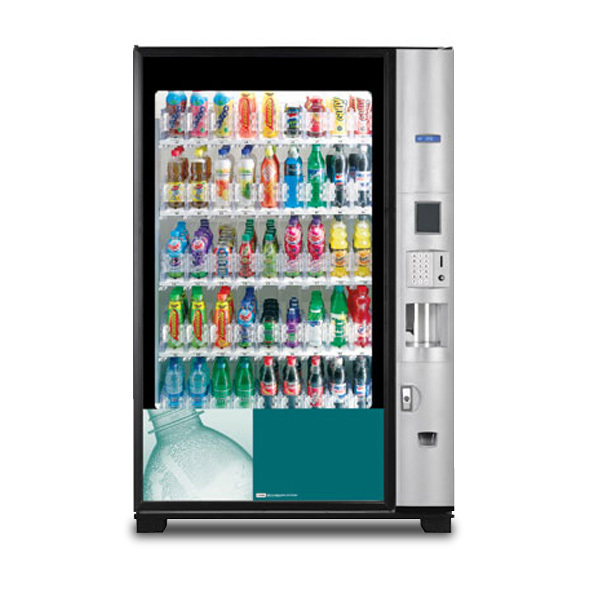 The Britvic Stack 368e is the ideal cold drinks vending machine for medium and high volume sites such as offices, waiting or reception areas. This eye-catching machine can even be branded according to the environment or the range of drinks on offer and with eight selections and a full capacity of 368 330ml cans or 196 500-600ml bottles the Stack 368e really is designed with you and your customer in mind! 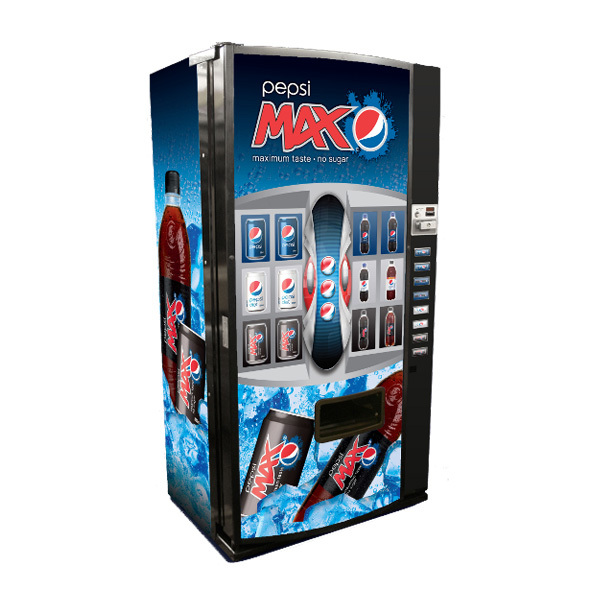 The Bevmax4 is one of the energy efficient vending machines on the market as well featuring a more reliable and technologically advanced merchandising platform that delivers every time! 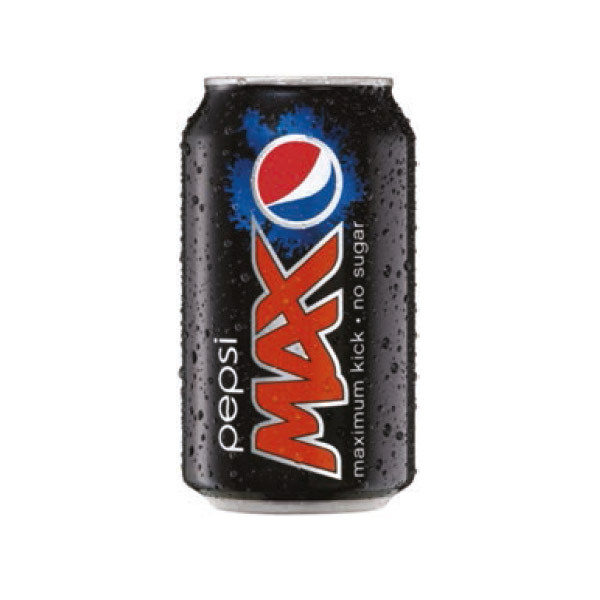 The perfect solution for high volume locations, the Bevmax4 is attractive in its design, vends both cans and bottles to the customer seamlessly and stands tall alongside your hot drinks machine to create a total vending solution! The new generation Pour Moi Cafe Express Station takes vending to the next level! 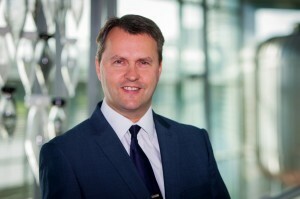 The machine hosts the latest in vending technology alongside a wealth of innovative features including a suite of payment options, triple capacity ingredients canisters and end-user orientated videos providing the perfect platform for advertising. All Pour Moi Cafe Express Drinks are fair and ethical, including fair-trade beans and chocolate. 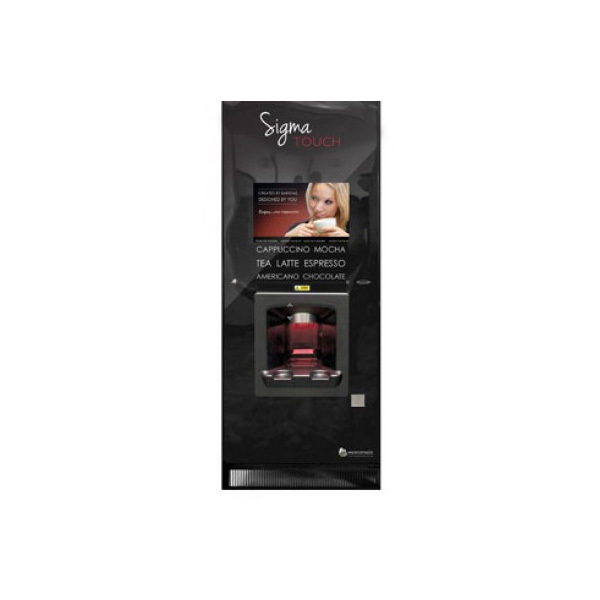 With stylish good looks, strong accent lighting , free audit software and fully integrated speakers the Sigma Touch brings a whole new dimension to the provision of hot drinks. The 19-inch touch screen features an intuitive touch sensitive menu selection which guides the user through the drink selection process and delivers them a high quality hot drink of their choice. 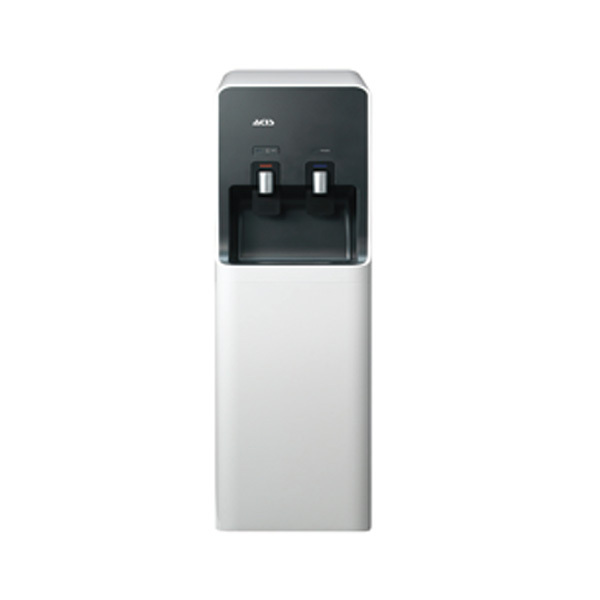 The ACIS 500 ‘Point of Use’ range of water dispensers and coolers are environmentally friendly, convenient and provide a highly cost effective way of providing a constant supply of chilled water in your workplace or waiting area. If you’re looking for a bit more style from your water cooler then a water cooler from the ACIS 500 series is just for you! The ACIS 700 Series of water coolers allow you the flexibility of being able to site them in almost any location in your workplace or office! Stylish yet robust, the ACIS 700 Series are available as floor standing and countertop models and offer dispense options of cold, ambient and hot water depending on the model you choose! The Merchant is a vending machine that can be configured to deliver endless combinations of snacks, confectionary and soft drinks to your customers or employees! Available in two sizes, the Merchant is flexible enough to suit any environment as well as offering 24/7 fresh product availability and customised branding options. 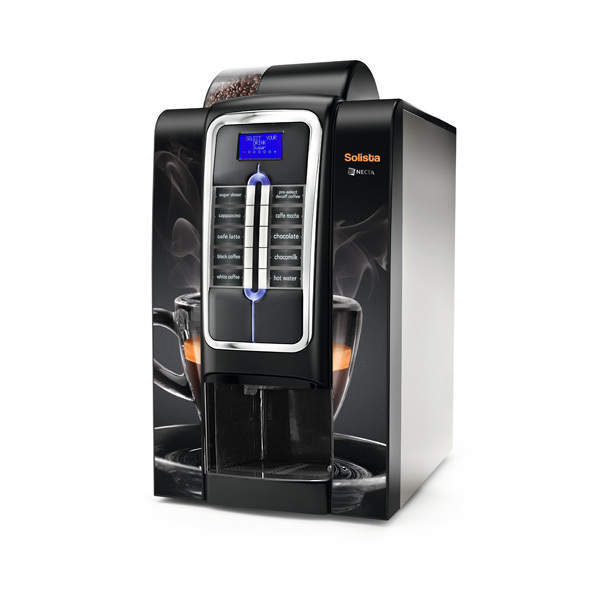 The Samba Classic offers the maximum flexibility in dispensing! 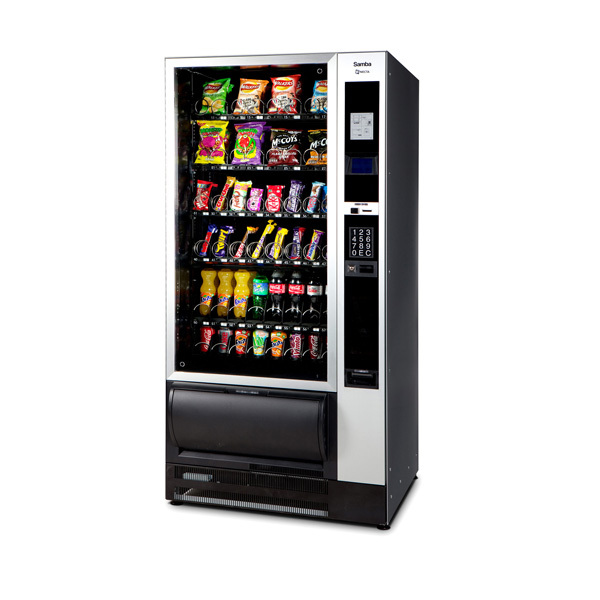 Available as a snack only or snacks with cans/bottles vending machine, the Samba Classic offers a vending solution to fit your needs. With high impact looks and a large LED lit glass door the Samba is eye-catching and elegant and will look great in any location! We're celebrating a special birthday this year and are proud to have been refreshing the north east for 40 years. 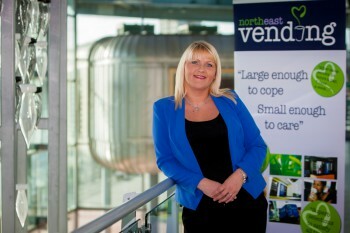 North East Vending has been keeping the region refreshed for 40 years is celebrating a milestone anniversary.